The Royal Oak has plenty of character and charm, but unmistakably a country pub. The bistro out the back had a bit of an 80's feel but it was busy with people who mostly seemed to be having a good time! The menu combined some pub favourites with plenty of fish and seafood and all meals included a visit to the salad bar or my case the veggie bar, where I selected some roast pumpkin and zucchini. I managed to loose the picture of the mushrooms with a trio of pesto and feta, which we shared to start. Each large field mushroom was topped with red and green pestos and some crumbled feta, the flavours combining well.. 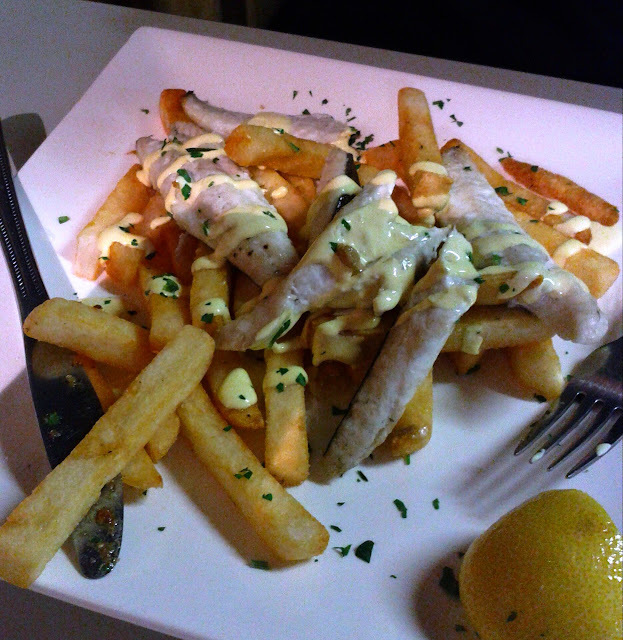 The specials included flat head with chips,our waitress mentioned it was her favourite and it was certainly well prepared and did justice to the fish. 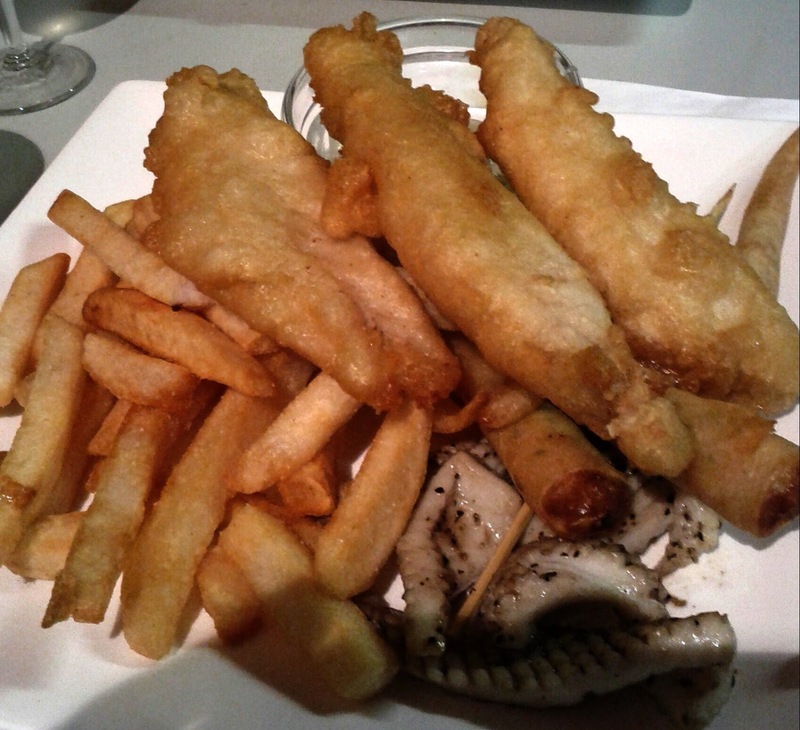 I went for the seafood plate, which came stacked with 3 rather than the advertised two pieces of battered fish, 3 prawn twizzlers, a skewer of garlic scallops, peppered calamari and of course chips. 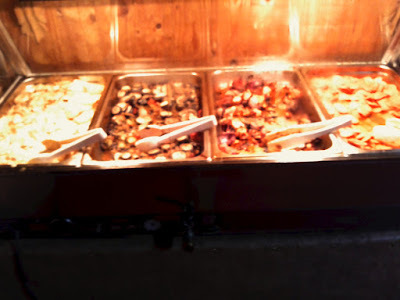 I would have probably preferred the prawns to be prepared more simply, but everything was good, the calamari was very tender and the scallops had seen glenty of garlic. The fish was as good as it was plentiful! 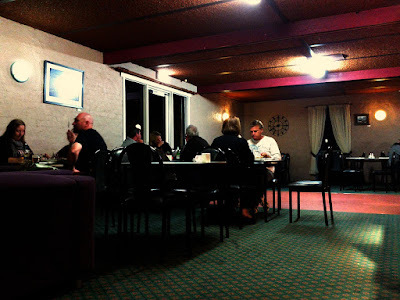 The food came to around the $60 mark and the all staff we met were friendly and very relaxed. There are plenty of pubs to eat at in small area in Port Fairy, and this is certainly a good option for quality and value.